Where do you stay when you jet off on an urban escape? Personally, we’re huge fans of boutique hotels because they offer something a bit more unique than your run-of-the-mill mega hotels. 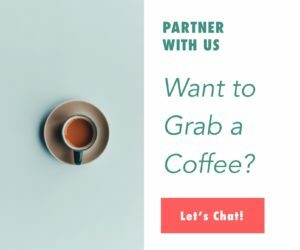 Think smaller more intimate spaces that typically have one-of-a-kind design and decor, personalised service and a deep connection to the neighbourhood and city. Here in Asia there are tons of brilliant boutique hotels in cities across the region that make for a truly memorable stay. We’ve rounded up the best of the best for your next Asian city break. Escape the hustle and bustle of Phnom Penh’s busy streets at The Balé, a peaceful boutique property nestled on the banks of the Mekong River just 15 kilometres north of the city centre. The hotel has just 18 spacious suites with light-filled living and sleeping areas, plus a black-bottom infinity pool overlooking the river, a serene spa, and a chic restaurant serving modern Asian cuisine. 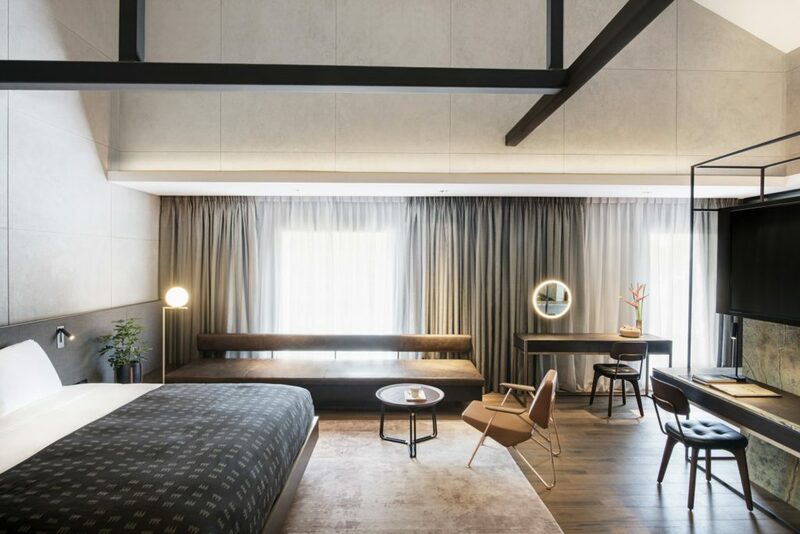 Set in a historic mansion that was once home to musicians and dancers of the imperial court, Hotel Cote Cour offers up a glimpse of Beijing heritage along with modern comforts. The 14 rooms surround a traditional courtyard with a water feature and loads of greenery. On site there is also a rooftop terrace, a restaurant serving authentic Chinese cuisine, and a bar. The hotel also offers bikes rent so you can explore the neighbourhood on two wheels. 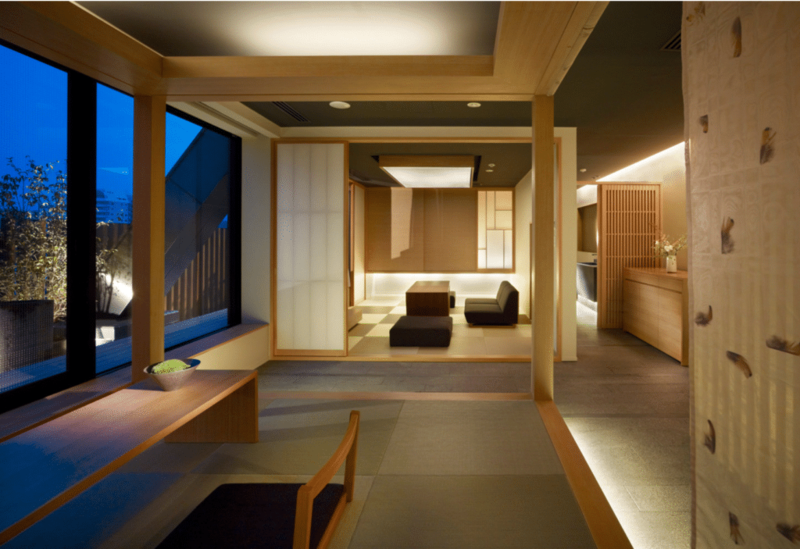 The name translates to ‘experience Kyoto’, and that’s exactly what the hotel is set up for you to do. In the lobby you’ll find a cafe selling handmade goods from all over Japan, plus a small pottery repair studio. Walk down the zen-like hallways past rocks and trees and enter your room through wood panels. Each of the rooms in this restored schoolhouse are different, but they all have traditional touches like wooden furniture, tatami mats and cypress bathtubs. Conveniently located in the heart of the city, Kimpton Da An is the perfect base for a business trip or an urban adventure. The stylish rooms offer extras like yoga mats, Chromecast devices for streaming and Atelier Bloom bath and body products. Grab one of the designer bikes on loan to explore the city, but be sure to make it back in time for wine social hour. End the day with a meal of modern British cuisine and nightcaps under the stars at the rooftop bar. 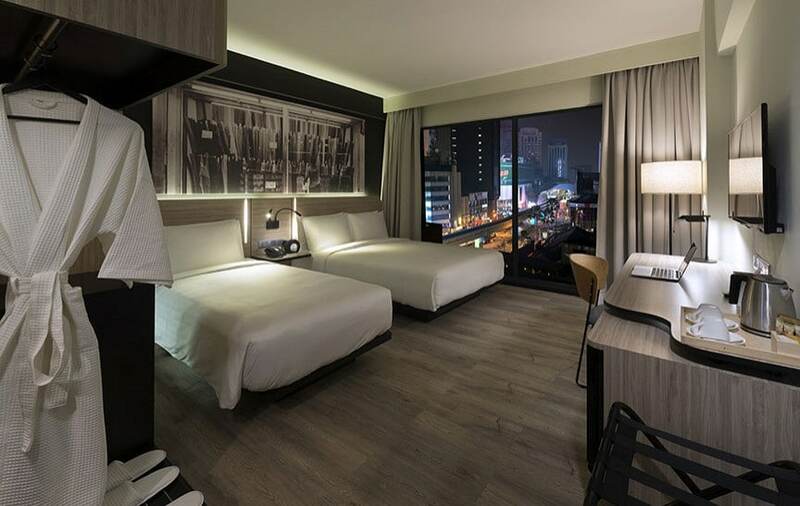 There’s a hip urban vibe going on at The Journal, an artsy boutique hotel in the heart of Bukit Bintang. Art installations pay homage to local culture and each of the rooms boasts huge blown-up photographs of city scenes by street photographer Che’ Ahmad Azhar. 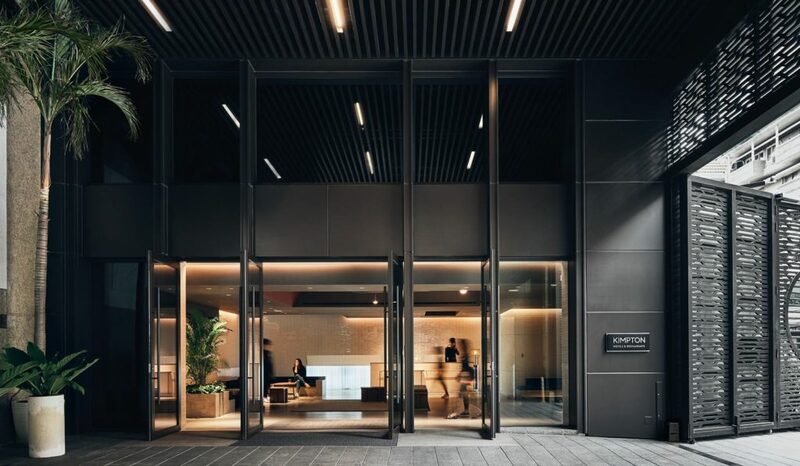 Communal spaces include the Worker’s Union for checking emails and catching up on work, the rooftop infinity pool, Kedai Kopi for Asian bevvies and bites, and The Terrace for al fresco beers. 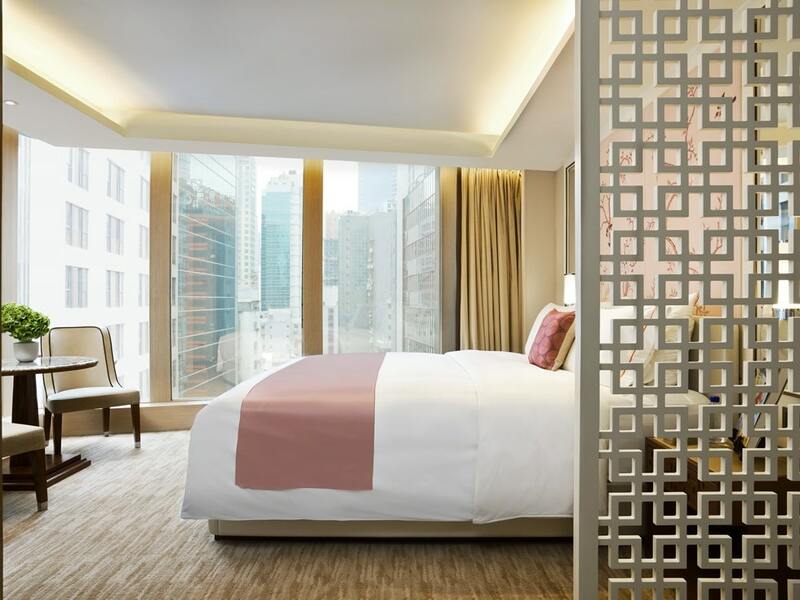 The Pottinger may be right in the middle of all the frenetic action of Central, but inside you’ll find a charming oasis that fuses Hong Kong heritage and modern touches. The rooms and suites are done up with bespoke Asian decor and provide modern conveniences like HD TVs, Nespresso machines and smartphones with wi-fi that you can take with you on your city sojourns. Step outside and you have tons of shops, restaurants, bars and entertainment options just steps away. The hotel is also home to two Michelin-starred French-Japanese restaurant, Ta Vie. 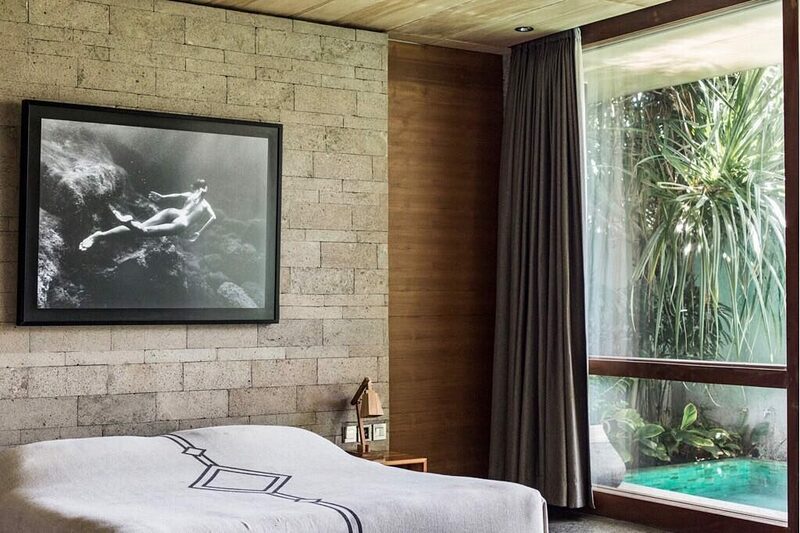 Located just steps from the surf breaks of Batu Bolong is The Slow, an avant garde boutique spot that celebrates art, music, architecture and good food and drink. The rooms are done up with latticed wooden partitions and screens, hanging vines, and lots of cool polished concrete, and each has floor-to-ceiling windows for soaking up views of palm trees and dappled sunlight. Also on site is a cool cafe where you can sip cocktails and snack on contemporary bites. Originally built in 1895, The Warehouse has been many things including a storage space for spices, an illegal distillery, opium den, and disco. Then it sat empty for nearly 20 years until 2017 when it was reincarnated as a contemporary 37-room boutique hotel. Modern though it is, this Rob Quay hotel still pays homage to its past with unique touches like conserved beams and ceilings from the original ‘go-down’ and a restaurant that serves local dishes, Asian craft beers and craft cocktails made with local herbs and spices. From the outside The Waterhouse looks like a rundown old building with a bizarre copper top, but step inside and you’ll find an ultra-modern boutique hotel that wins rave reviews from travellers. Design firm Neri & Hu took this 1930s factory and transformed it into a unique space where original bricks coincide with smooth oak floors and tinted glass walls. Even better, the hotel sits right on the Huangpu River, offering views of the Pudong skyline. Everything about 137 Pillars Suites was designed with traveller’s comfort and convenience in mind from the ability to check-in and check-out any time to the 24-hour butler service, round-the-clock access to the rooftop infinity pool and sumptuous suites with private bars, circular bathtubs with built-in TVs and balconies with rocking chairs and daybeds. Trust us when we say that everything you could possibly need is right at your fingertips at this luxurious 34-room boutique hotel.